Click Here to Locate Cheap Bicycle Shipping Companies. A good working knowledge regarding the packing and shipping a bicycle in a gainful manner comes in handy whether you wish to sell bikes online or are shipping a bike to someone. For a reasonably priced bicycle, it makes little sense to spend on professional packing. You can also save on bicycle shipping by dismantling the bike, to a certain extent, and moving it in a box of slightly lesser dimensions. Cheap bike shipping can easily be done in bicycle shipping boxes which are usually thrown away by the local bicycle shops after unloading bicycle from the dealers. Sometimes they ask a small fee, about $5. A smaller size will allow you to save money on shipping. In terms of shipping the bike, a good tip is to first calculate the required dimensions of your box. The package should ideally be around 35lbs weight. Preferably the bicycle box should measure less than the “dimensional weight” limitations of the haulers. However you may need to adjust your bicycle box size if you find it attracting extra charges. In case you need to reduce the size of the box just follow this simple tip: take the open end of the box and slice two or three inch slits in the four corners between the flaps. Now fold the flaps created by the slits in an inward direction (inside the box) and record the new dimensions. The depth and length of the box will remain identical but the height will now be reduced. Check if the box now falls within the specified size limits and frees you from the additional charge. If the box is still bigger than your required size try trimming the height further in a similar manner. Just to make sure that the bike fits into its box comfortably, test a few different fittings by removing one or both of the wheels, the seat assembly and may be handlebar too. However, if you do go the cardboard and disassemble way, double box it for proper protection. Use an online shipping calculator to ascertain your box dimensions, prior to going to the drop off point to make sure you have affordable bike shipping. There are quite a few bike packaging options. Travellers who frequently travel with their bikes find it better to invest in a bike travelling case. It is prudent to always insure your shipped bicycle against damage; you would get automatic coverage of about $100 with most carriers. However more expensive bikes need additional coverage while shipping. Customized, uncommon, or collectible bicycles must always be packed competently by professionals as scrimping on that could actually make you lose out on your valuable bike. Cheap bike shipping options come in many shapes and sizes on the Net, beware of internet sellers who try to rip you off by “cramming “their shipping costs. Include your contact details and your shipping destination on the box as well as inside the box. In case you are including your bike as your airline checked luggage, don’t forget the ticket locater code or any other ticket identifier. Bikes that are part of checked in luggage can be lost or misplaced on connecting flights due to their size and delicateness; plan a backup in case you reach your destination without your bike. 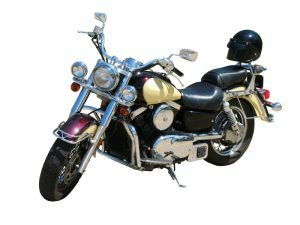 It might be good idea to hunt around a bit to find the right option for a cheap bike shipping company as getting to locate a cheap bike shipping company is becoming harder. This entry was posted in Motorbikes and tagged bike shipping, budget motorcycle transport, cycle transportation, motorbike shipping. Bookmark the permalink.